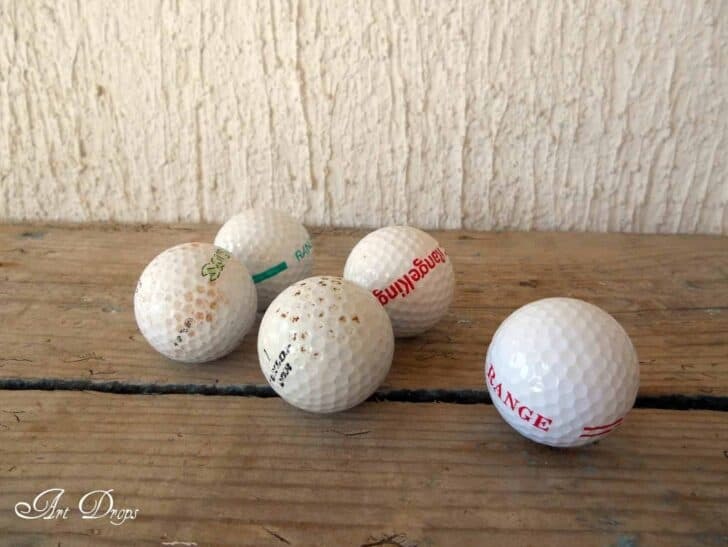 Sand the golf balls all over the surface with a sandpaper and spray primer paint for the final paint to better adhere on their surface. 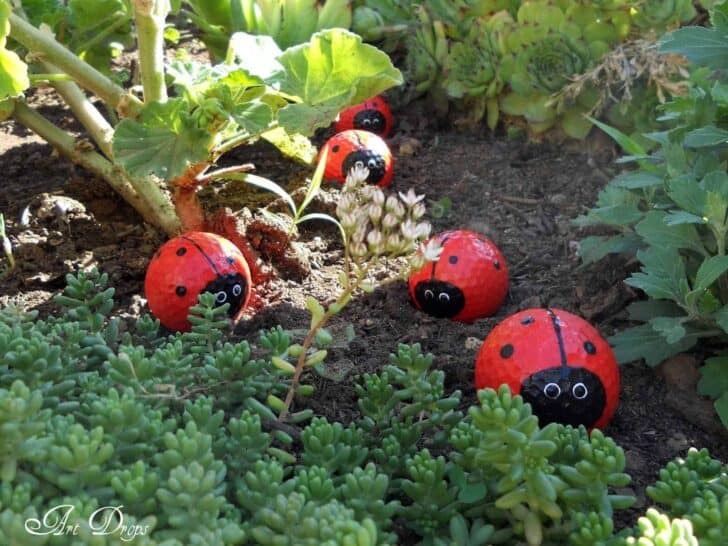 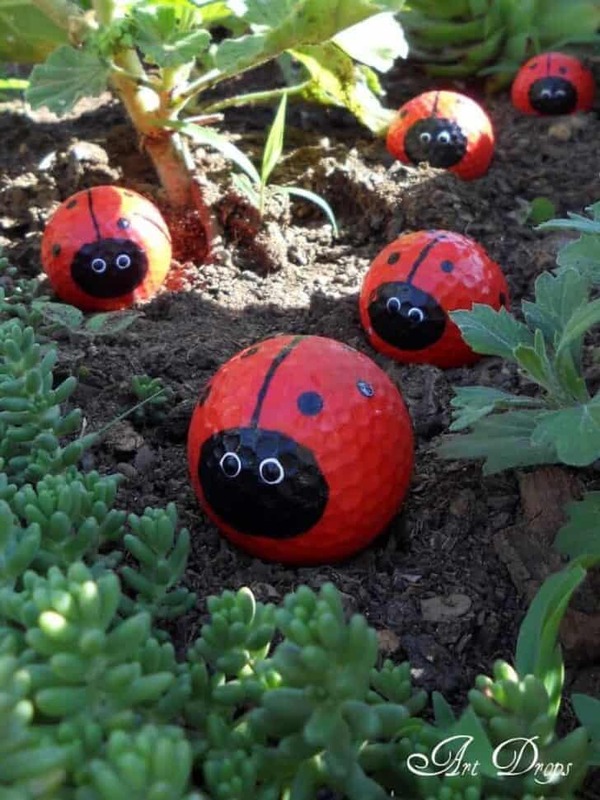 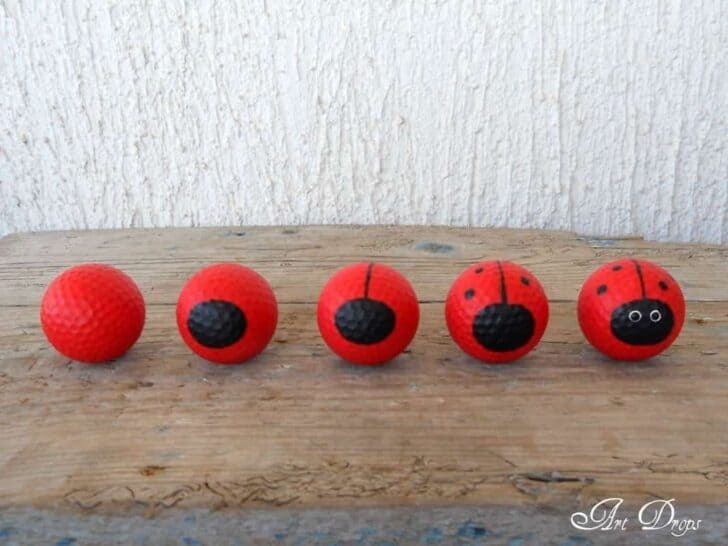 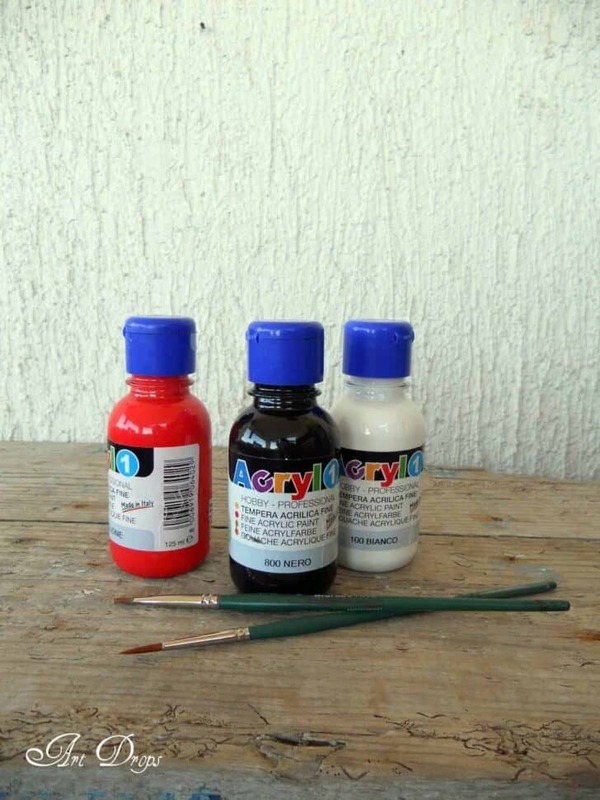 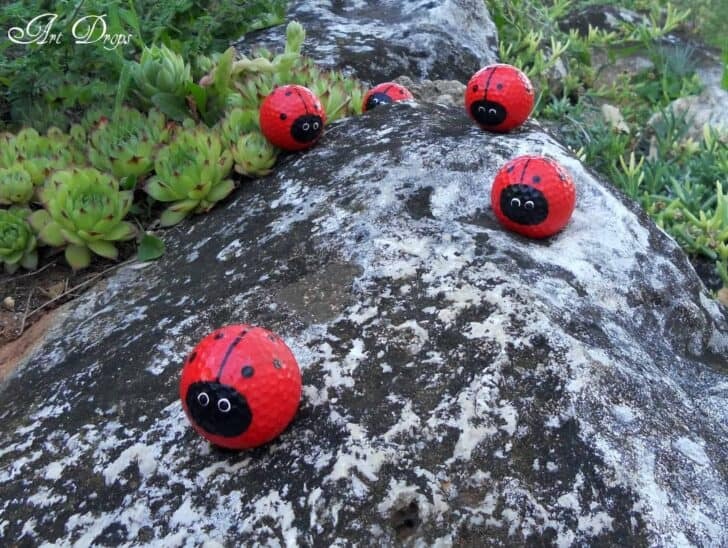 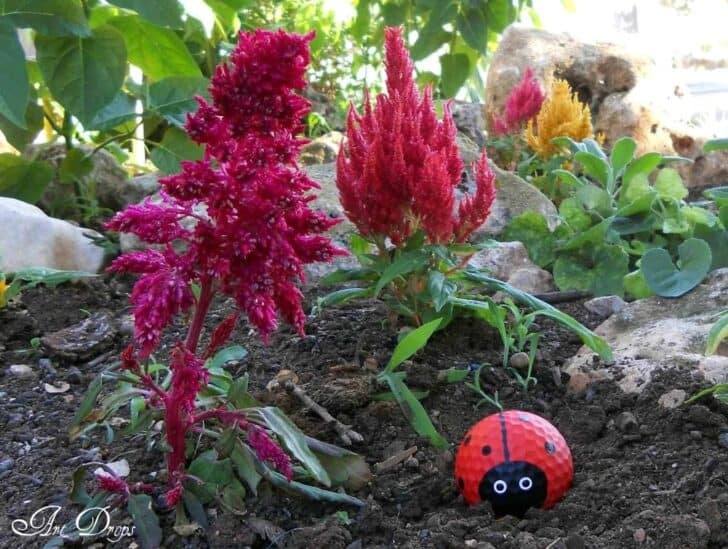 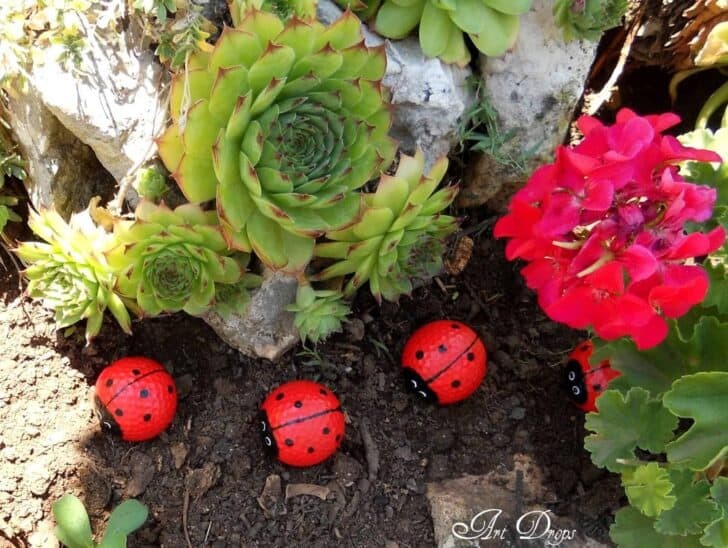 When the primer is dry, apply a red paint all over the balls and then black paint to make the ladybug head. 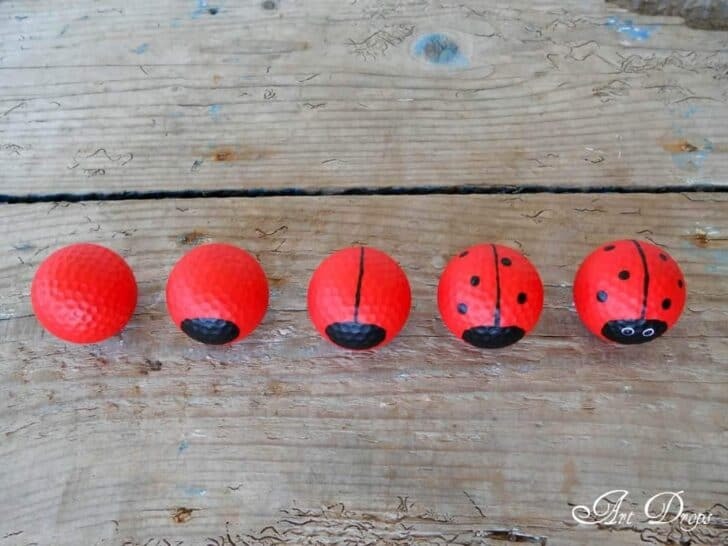 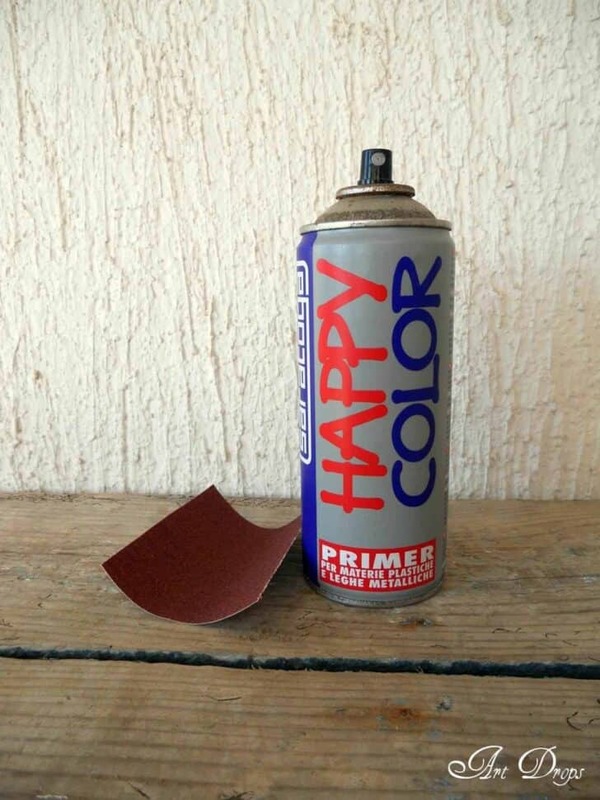 At the end, add varnish to protect the balls from water. 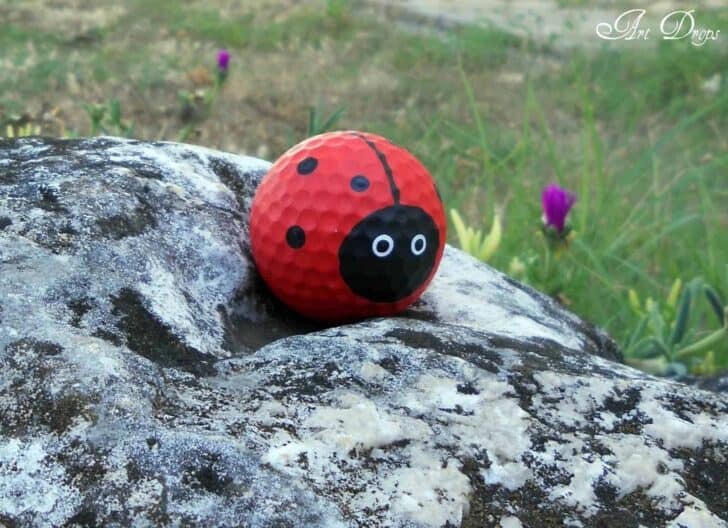 Un pti clin d’œil aux golfeurs …..